The Army Corps of Engineers says the government could have done little if anything to lessen the severity of flooding that has hit several states in the Midwest and caused President Donald Trump to issue a national disaster declaration over Iowa. “Last week there was a huge storm that covered the middle part of the country and dropped a lot of rainfall,” Army Corps emergency management specialist Mike Dulin told The Kansas City Star Thursday. Local officials are concerned the Corps’ management of the Missouri has caused increasing amounts of sediment to fill in the river’s bottom, cutting its capacity to move water. 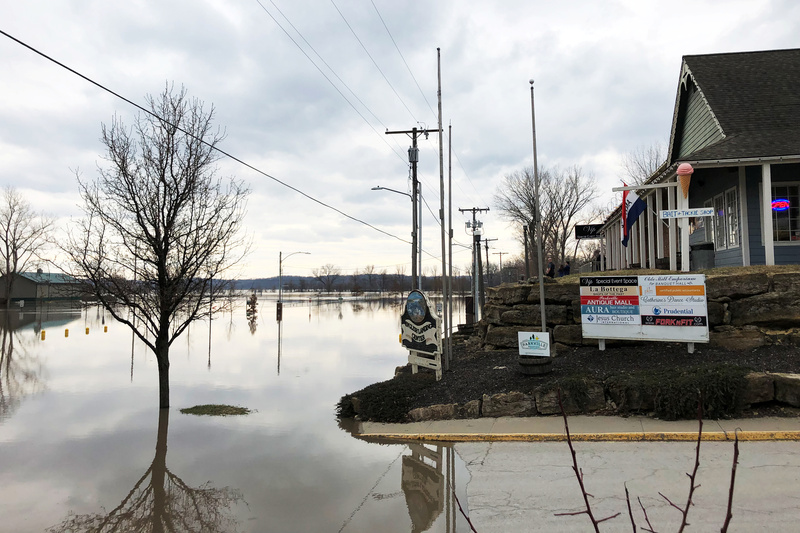 Over decades, the region has grown more prone to floods as the Missouri’s waters increasingly flow over the river’s banks, Missouri Sen. Josh Hawley told reporters Friday. “The river just can’t hold as much water as it once did. So when you get to flood conditions like this, you get this overflow, and we need to figure out how much of what the Corps has been doing – how much their management – has contributed to crises like this one,” the Republican said. A group of farmers, led by Ideker, are suing the Army Corps of Engineers over past mishaps along the Missouri River. A federal judge ruled in 2018 in the farmers’ favor, finding the agency prioritized endangered animals over the farmers’ property and livelihoods. A “bomb cyclone” flooded large areas up and down the Missouri River last week, forcing thousands of evacuations as more than 200 miles of levees broke. The water poured into neighborhoods, now only navigable by boat, and caused some of the worst flooding in half a century.